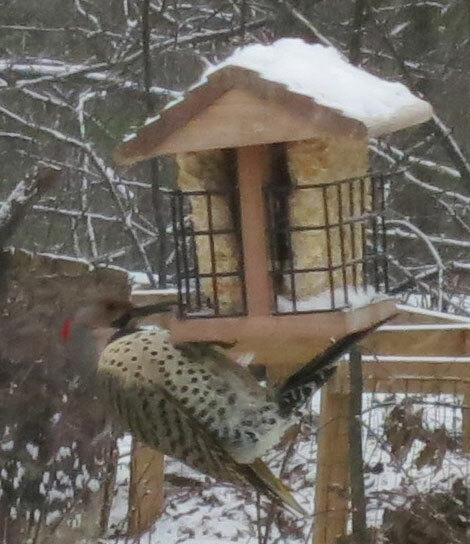 We only rarely see flickers at our Sutton Mass suet feeder. Most of the time it's downeys and hairies. The flicker is incredibly shy and often even just looking out the window will scare it off. We get the Northern Flicker, or Colaptes auratus. These are just over a foot long, and have a distinctive tan breast with black spots all over it. They have a larger black spot on the top of their breast. The male's head has a red stripe down the top.